Today at 11:12 GMT (13:12 CEST) ESA astronaut Alexander Gerst was launched into space alongside NASA astronaut Serena Auñón-Chancellor and Roscosmos commander Sergei Prokopyev in the Soyuz MS-09 spacecraft from Baikonur cosmodrome in Kazakhstan. 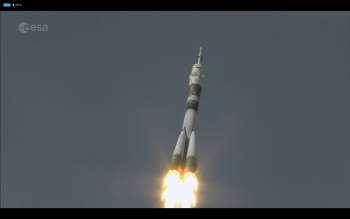 The launch went as planned as the 50-m tall Soyuz rocket propelled the astronauts to their cruising speed of around 28 800 km/h. Within 10 minutes of rising from the pad, the trio travelled over 1640 km and gained 210 km altitude. 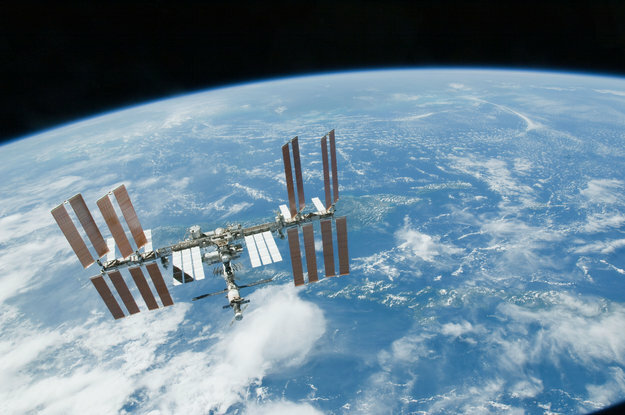 Every second for nine minutes, their spacecraft accelerated 50 km/h on average.